If you are thinking of starting binary options trading, you must first review the many brokers out there that are offering tools or platform to do binary options trading with. It is important that you scrutinize even the most recommended binary options brokers to ensure that you are going to get the most out of your trading experiences. Security is a top concern when trading with an online broker. Many of the promises that brokers make often seem too good to be true. And in many cases, such promises are basically deceptions to fool unsuspecting victims into investing their money into a fraudulent trading platform. One of the popular binary options brokers today is TR Binary Options. Considering TR Binary Options as your broker? Read this review first about TR Binary Options. It was 2011 when the trading platform was launched. Trade Rush, before it was renamed to TR Binary Options initially offered 60 second binary trading to the online trading community. The binary options broker is based in London, UK and is owned by Marblestone Partners LTD. When checking the credibility of a broker, one thing to look for is its operating license. Traders should see to it that the broker they are going to be trading with is legally operating or is regulated by the likes of CySec. We couldn’t really find any information detailing TR Binary Options’s operations and its regulation license. Some say TR Binary Options is actually regulated by the CySec of Cypurs, but we can’t really confirm if this is true. Read along to find out if TR Binary Options is worth trading with or it is just one of the many scam brokers that have infested the web these days. Just like any other binary options brokers in the market, TR Binary Options also require its users to choose a base currency upon registration. This base currency will be associated with their account and can’t be changed after registration so make sure to choose the right currency that best suits your trading needs. Users may choose any of these base currencies: EURO, USD, Australian Dollar, Canadian Dollar, Russian Ruble, British Pound Sterling, Japanese Yen and Swedish Krona. Registering for an account at TR Binary Options is free. Traders will only need to shell out cash when they are ready to trade binary options. TR Binary Options make use of the internationally accepted encryption system to allow all transactions over the web to be as secured as possible. The security system is automatic so in case your browser does not support it, you will instantly be notified via email informing you to use the recommended platforms. Trade Rush offer a maximum profit of 75%-81%; this return percentage is relatively low compared to the bigger and more popular brokers in the market today that are offering up to 120% return for the traditional binary options trading. TR Binary Options does offer up to 500% return for the 60 Second Option which is the standard maximum return for such trading option. Aside from the 60 Second Option, traders may also trade with other trading options that include Option Builder, OptionPro and One Touch. 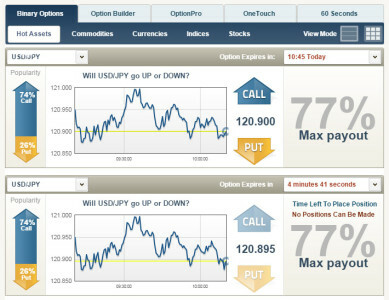 TR Binary Options’s One Touch trading options offers profits of up to 700%. TR Binary Options assets include Stocks, Currencies, Commodities, Indices and Pairs. As of this writing (September 25, 2015), TR Binary Options has about 165 tradable assets composing of 71 stocks, 28 currencies, 8 commodities, 36 indices and 22 asset pairs. Check out the list of tradable assets here. TR Binary Options set trade limits for all the binary options it offer. For the regular binary options trading and the OptionPro, the minimum trade amount is $10.00 and the maximum is $5,000.00. If you’d like to trade with the 60 Second Option, note that the minimum trade is $5.00 and the maximum is $500.00. One Touch trading allows $50.00 minimum trade and a maximum option worth $500.00. And finally, TR Binary Options’s Option Builder allow trades for as low as $25.00 and as high as $1,000.00. There is no need to download or install a software to start trading with TR Binary Options. The broker does offer mobile apps for those who want to trade on the go. Download the dedicated client app on the Play Store or App Store. TR Binary Options offer several methods to deposit funds to the necessary accounts. Here’s where things get a little inconvenient. TR Binary Options has a policy that all first deposits are to be authenticated. Certain documents are needed to authenticate your TR Binary Options account before you can even start trading. You will need to provide a government issued ID, proof of address and a copy of credit card if credit card was use to deposit funds. Once you have all the necessary documents, you will need to send them to accounting@traderush.com with your name in the subject line. TR Binary Options accept deposits made via credit cards (Visa, MasterCard, Maestro and Visa Electron), wire transfer, CashU, iDeal, Neteller and Bitcoin. If you are depositing funds via wire transfer, note that there is a minimum amount that is required for the deposit transaction to push through. The minimum initial deposit for a wire transfer is $500.00. A fee of $30 will be charged for any deposit transfer that is below $500.00. Succeeding deposit transfers will be $200.00 as the minimum deposit amount. TR Binary Options charges $30 for the second and consecutive withdrawal requests per month. The first withdrawal is free of charge. There is also a limit as to how much you can only withdraw though. For credit card withdrawals, the minimum withdrawal amount is $30 and the maximum is $20,000.00. For wire transfers, the minimum withdrawal amount is $100.00; no maximum withdrawal amount limit for wire transfer. Bitcoin trading is part of TR Binary Options’s standard Call/Put binary options. To deposit Bitcoins to your TR Binary Options account, you’ll need to send the funds via Neteller, an online payment processor and prepaid card provider. 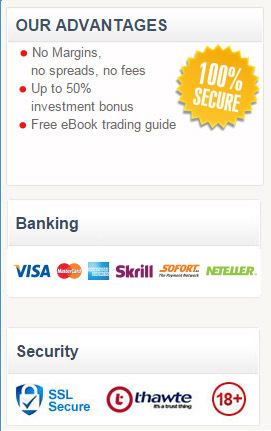 Unfortunately, depositing Bitcoins is only available via the Neteller platform. There is no straightforward way of depositing your Bitcoins via TR Binary Options’s bitcoin address. Although depositing Bitcoins via Neteller is free of charge, depositing directly to the broker’s bitcoin address would have been a lot more convenient. There is also no way of withdrawing your profit to your Bitcoin wallet. If your goal is to trade Bitcoin binary options, TR Binary Options is a good platform to trade with. TR Binary Options offer an hourly and 60 Second Option for Bitcoin trades. Customer support is one of TR Binary Options’s greatest assets. TR Binary Options offer several customer supports including a very reliable Live Chat feature, phone support and email support. According to the broker, its customer and technical support is available from 6:00 Sunday to 21:00 Friday GMT. Upon opening an account with TR Binary Options, we received a call from their after sales support agent welcoming us to the TR Binary Options community. We did feel like they were too pushy when it comes to depositing our first funds. 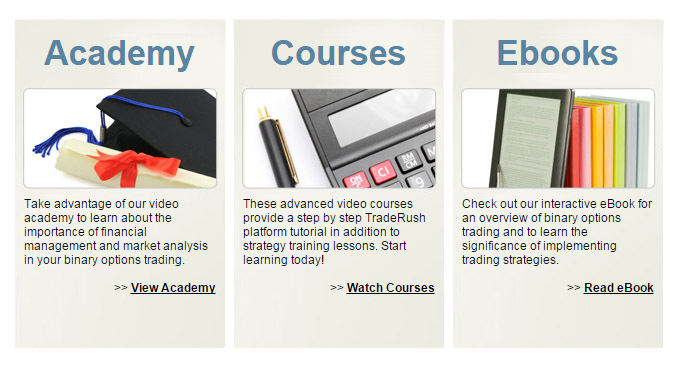 There is also a knowledgebase of information on how to trade using TR Binary Options via its Academy page. The bottom line: Is TR Binary Options a scam? TR Binary Options is a legit binary options broker; it’s just an unregulated broker which could easily turn off potential traders. While reading customer feedback online, we did come across a bunch of negative comments and complaints regarding TR Binary Options’s somewhat unregulated trading platform referring to it a bit ‘scammy’. It’s not that we don’t believe in TR Binary Options though – we just don’t like investing our precious money with a broker that can potentially scam us in the long run. So for now, unless TR Binary Options gets regulated, we’d rather use a different broker that’s actually certified and regulated to offer binary options trading. opened an account for $250 with them to do 60 sec to do 5 point decimal strategy which starts with $5. First they try to up sell.then they say it has been changed from $5 to $25 minimum bet and they don’t know when the change happened. I asked to cancel and now I have to wait 2 WEEKS to get my money back. 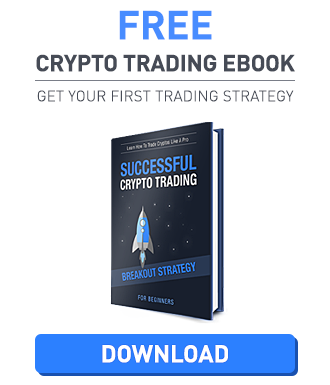 Have you lost up to $5k and above while trading on Binary Option or cryptocurrency? Forx trading Have you tried getting your money out from your binary option broker account and was unable to place a withdrawal? Have you found your self wading through excessively complicated terms which might seem impossible to meet, all because you traded with an unregulated broker? Do not panic, I have good news for you. I lost over $97k to an unregulated broker who stocked my trading capital and denied my access to my account. But thank God I have recovered all my lost funds, through the help of a certified binary recovery expert. if my assistance is needed, kindly get in contact with me via Smithroberts777@gmail.com and I will guide you on effective steps to take and get back all your lost funds in just few days. its all a scam, i traded with different brokers, most of them disappear when you make withdrawal request, some of them will try to convince you not to withdraw and instead invest more while others will actually allow you withdraw a little amount so they can build your trust and after that they begin to make large requests. i lost a lot to these fraudulent brokers, i was depressed for months until i was recommended to a Binary options trade funds recovery expert Mr Gilbert Lynch when i met them i didn’t believe they could get back my money because i have been scammed a lot already and didn’t know what to believe, but my gut feeling told me to give it a try and i did, feel free to contact them via their email address: gilbertlynch2@gmail.com and they will help you claim back your investment back from your scam broker, i was obligated to recommend them for the good service which they offered to help my issue with my broker.